Ha! Fun concept for a cookbook, but I'm not sure this series was really crying out for one. Maybe it will introduce more kids to cooking? 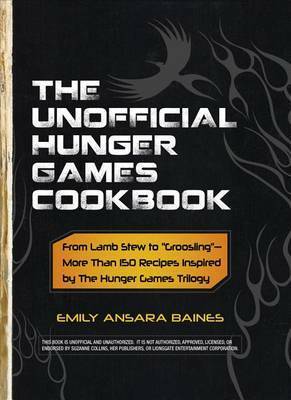 Good critique - I would expect, I suppose, a lot of "stretching" to get a whole cookbook out of Hunger Games. And grilled tree rat? Hmmmm, I'd probably skip that one! Eeep--I did see some spoilers for later books (I've only read the first in the series). This sounds interesting but like you it seems a bit more like a novelty than an actual book to cook from. I'll have to browse through it next time I see it at the store. I have this too and love it just to have. I doubt I'll ever cook out of it, but it's a lot of fun to read. These are recipes that would appeal to my uncle. He serves all sorts of game. I have heard that squirrel is quite tasty, though I have no intentions of giving it a taste. I'd also like to add this to my collection even if I never make any of the recipes. Thanks for sharing your thoughts!